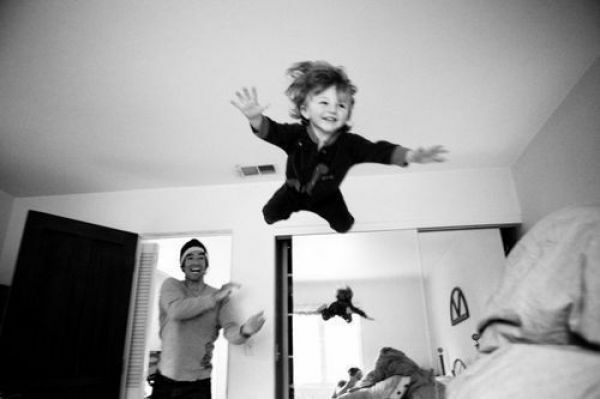 Remember when you were a child, and you believed you could fly if you just ran hard enough and leapt? I’m not proposing you do anything like that might possibly cause bodily harm, but I am asking you to consider what it was that allowed you to take that flying leap off that porch, or deck? Was it ignorance? Maybe just a little. Was it foolishness? Again, maybe a bit. But I submit to you that it was something else. Something that as you watched reality, grownups and negative people snuff out your dreams (some rightfully so), died within you. Something that seemed a lot more fun than the harsh “reality” of life. A wise person once said, “Unless you change and become like little children, you will never enter the kingdom of heaven.” Of course, those are the words of Jesus Christ, and He knew what He was talking about. Children have a way of believing that is so pure, and unfortunately taken advantage of. As a result the harsh “realities” of life can strip that childlike faith and take with it so many of our God-given dreams. Dreams embedded into our DNA, to carry out that for which we were made. Why is it that so many people with “successful” careers find themselves bored, discontent, and depressed even after they’ve climbed the ladder, after they’ve earned their millions? Are they spoiled? Maybe. But some of these people are not, and they’re really good people deep down who have worked hard to earn their success. Might it not be that they are not doing what they were created to do? Happy is the one who understands what he or she has been designed to be and do, and walks in that purpose. Haven’t you ever asked yourself, “Is there more to life than just making money and getting stuff?” I know it’s difficult to ask this when you’re going through tough financial times, trust me. But I also know that the question is valid whether you’re in need or in plenty. It may seem like a dream to you (dream career, dream life, etc.) but perhaps that’s only because it’s been so long since you imagined it. May I humbly suggest that you study the blueprints of your life with the Master Designer who created them? That’s what I’ve been doing ever since 2008, and my life has never been the same. For the first time in my life, as a published writer, I can say I’m walking in my calling, my design, my destiny.